The wine regions of Europe go much further than France, Italy, and Spain. This is not an all inclusive list of wine producing countries. However, we will take note of three who have a long tradition of winemaking. Germany and its cold climate have given us lovely white wines. Rieslings, made from the grapes of the same name, are the most famous; not just for their flavor when enjoyed by themselves, but for their ability to pair with any food in the universe (almost). It is wonderful with salads and even meats; it also pairs well with spicy Asian and Mexican dishes. Other grapes planted in Germany are Silvaner, Kerner, Pinot Gris. But it isn't just about white wine. Germany also produces some reds from Pinot Noir grapes. Hungary has a great winemaking tradition. Before the 20th century this country had a very sophisticated wine industry. The Hungarians were the first to develop a system of wine classification. During much of the 20th century the industry deteriorated to the point where Hungarian wines were basically unknown outside of the Soviet Union. That has changed since the 1990s, and more people are getting to know Hungarian wines. Hungary grows a variety of wine grapes. It produces Cabernet Sauvignon, Merlot, Chardonnay, and many others. But its most famous wine is the Tokay Aszú, a wonderful sweet wine produced in the region of Tokay. Get to know the wines of Hungary. 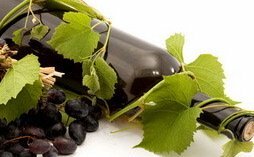 Greece Is the cradle of wine culture. Greek Mythology tells us that we have the god Dionysus to thank for this lovely beverage. But in the recent past Greek wines have not been as well known as other European wines. This is beginning to change. Greece is now producing top wines. the regions of Macedonia, which produces Naoussa wines from Xynomavro red grapes; The Peloponnese, producers of Nemea, from Agiorgitiko red grapes; the Aegean Islands of Samos and Santorini make white wines from the Assyrtiko grape. Also fortified wines from the Muscat Blanc a Petits Grains grapes. The wine regions of Greece are interesting and worth your attention. Do Not Overlook these Regions. There is An Adventure in Each One.